Thanks Paul for the cover design! I ordered 25 copies for Dallas Comic Con. However, you can also order it online for $9.99 or you can get the digital download for $3. I actually make a larger profit on the digital download, but the book looks prettier in print. 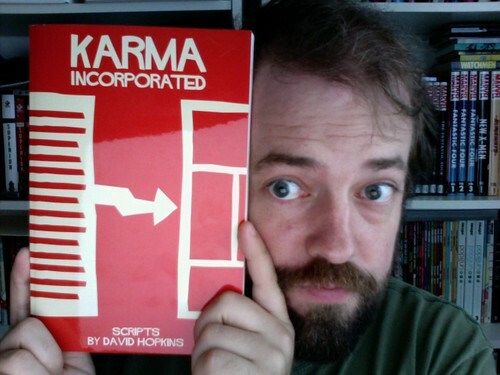 At this time, it's the only way you'll be able to read the volume 2 of Karma Incorporated. I love reading scripts -- plays, comics, screenplays. We need some more people to release their scripts through print-on-demand. Jamie Rich? Nunzio and Christina?